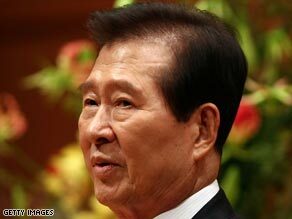 Former South Korean President and Nobel Laureate Kim Dae-jung died of heart failure Tuesday, hospital officials said. He was 83. Kim — who was president from 1998 to 2003 — won the 2000 Nobel Peace Prize for fostering better relations between North and South Korea. He died Tuesday afternoon at Seoul’s Severance Hospital, where he was admitted more than a month ago for pneumonia.